The Business/Commercial Litigation Substantive encompasses a wide variety of litigation fields, as wide ranging as business torts, contracts, bankruptcy, banking, shareholder, officer and director litigation, corporate dissolution, real estate litigation, and debtor/creditor litigation. 2009 is the first year of the Business/Commercial Litigation Committee. 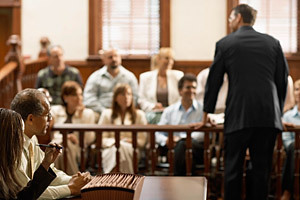 In addition to providing South Carolina defense attorneys a forum to meet one another and discuss recent legal events in business/commercial litigation field, this committee will coordinate and sponsor break-out sessions and presentations for the joint and annual meetings and will sponsor an article for publication in the Defense Line.